Enjoy some time traveling with spiral cookies inspired by the time travel book series Clocker Cookies. 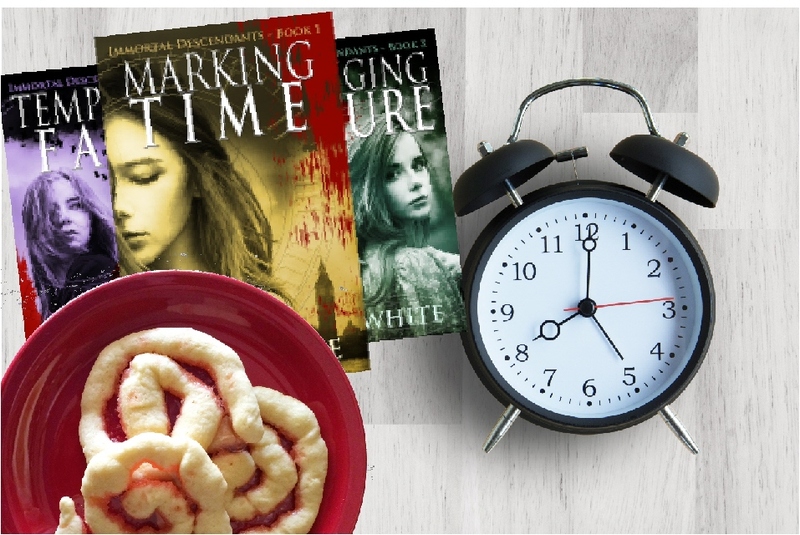 You'll enjoy some sweet, yummy cookies while enjoying a great book series. 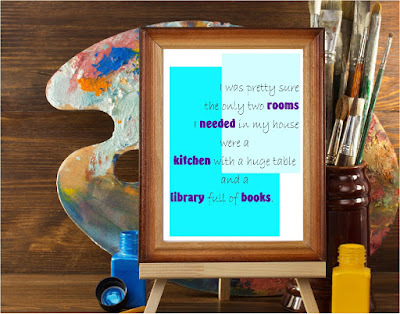 I love to read time travel adventures. I'm not sure what the draw is, but I think it has something to do with that I love the adventure the characters have, the skills they need to figure out things, and the open options to go anywhere and take the story in any direction. So I read a lot of time travel books. I recently devoured the four books in the Immortal Descendants series in a whole weekend. Now I'm anxiously awaiting the next book. 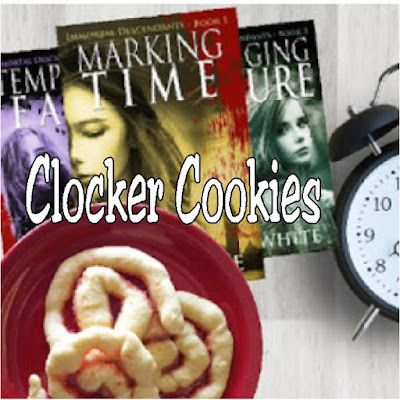 While doing so, I decided to get my time travel fix by making some Clocker Cookies. Sounds pretty good, huh? It was! In the book, Saira is a descendant of Time and is called a "Clocker". She travels through time using a spiral design drawn on walls. 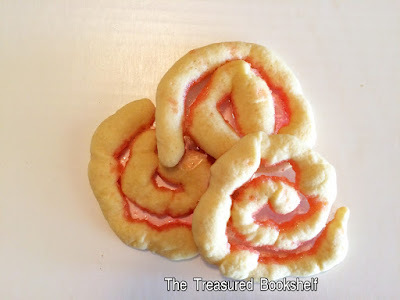 To celebrate the fun, I created a sugar cookie spiral with a candy center to enjoy. Roll the cookie dough into golf balls sized pieces. Take each ball and roll it into a long line like a snake. 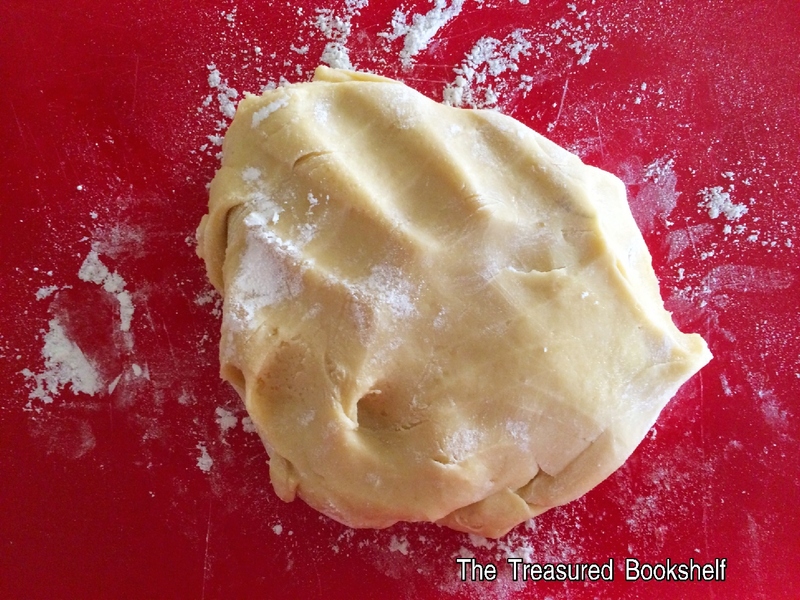 You will want the dough to be pretty thin so it doesn't spread very much when baking. 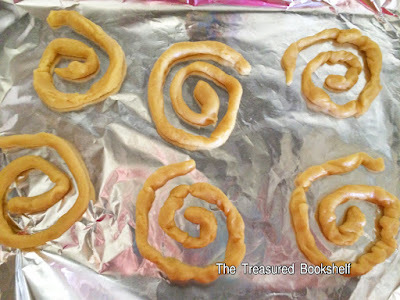 Place a piece of wax paper or aluminum foil on a baking sheet and place your cookie dough into a spiral shape with a about 1/2 inch between each spiral edge. Using your favorite flavor of Jolly Rancher (I used Watermelon), place several unwrapped pieces in a sturdy zip top bag. Place a kitchen towel over the bag and take out your frustration of having to wait so long for the next book in the series on the bag with a rolling pin. Keep pounding until the Jolly Ranchers are in little pieces. 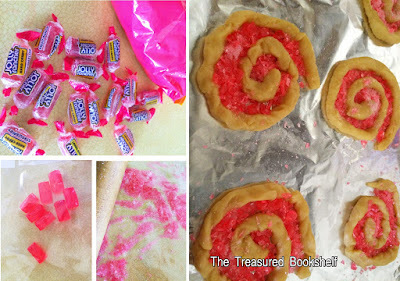 Spread the candy pieces in between the sugar cookie dough spiral edges. It took me about 20 pieces to do 12 sugar cookies. Bake the cookies at 350 degrees for 5 minutes. 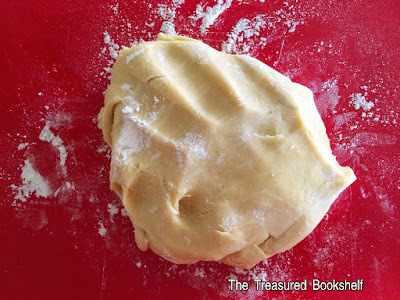 Remove from oven and allow to thoroughly cool. Carefully peel the cookies off the wax paper to keep the candy center from sticking and cracking. Enjoy your cookies as you go and re read the entire series to enjoy all the parts you may have missed while devouring the Immortal Descendants Series in one weekend.